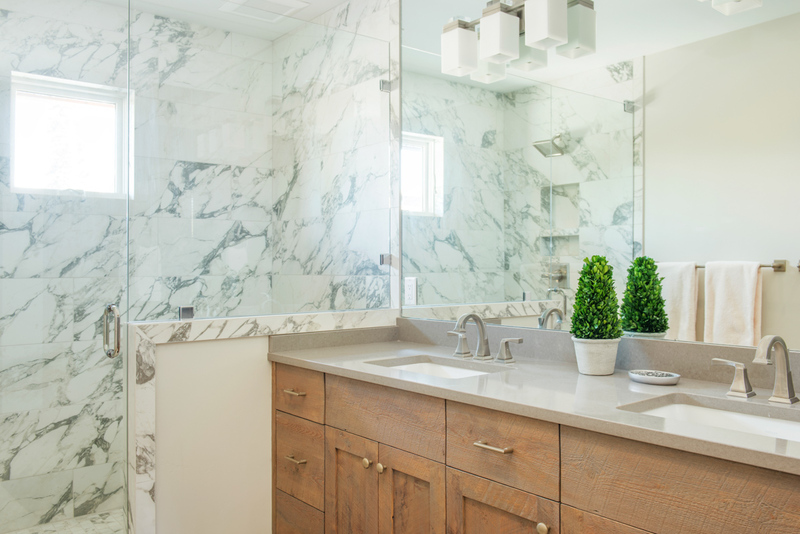 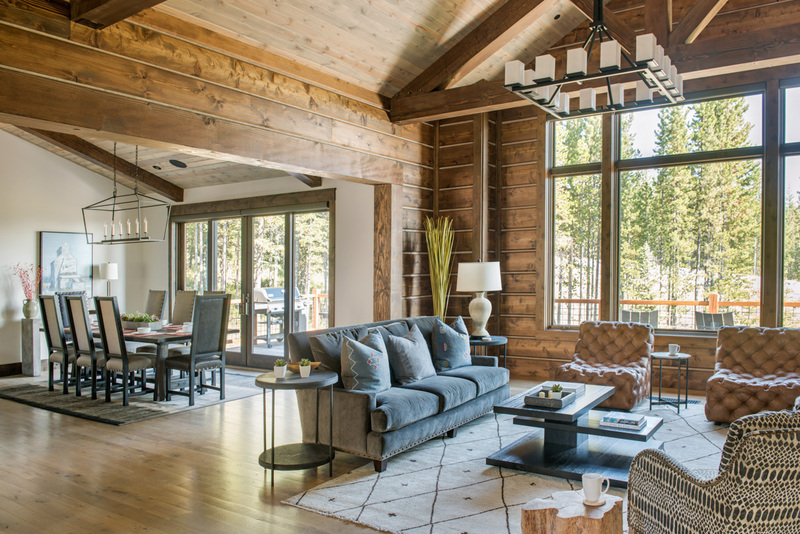 Custom built with local timber and stone, the ski-in, ski-out Alpenglow is a contemporary ski home on a private, wooded lot with high-ceilings, stone fireplaces and log beams, accented by granite countertops, marble baths, and top-of-the-line appliances. 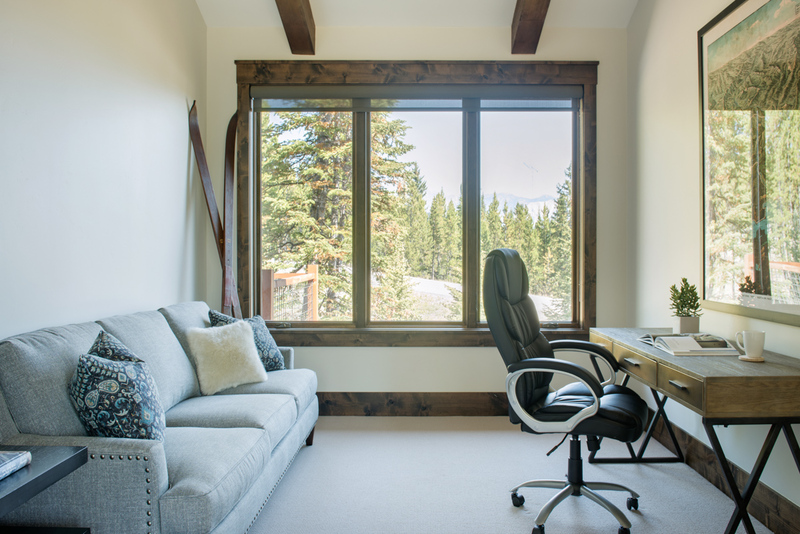 Large picture windows frame impressive views of Wilson Peak and the Spanish Peaks Range. 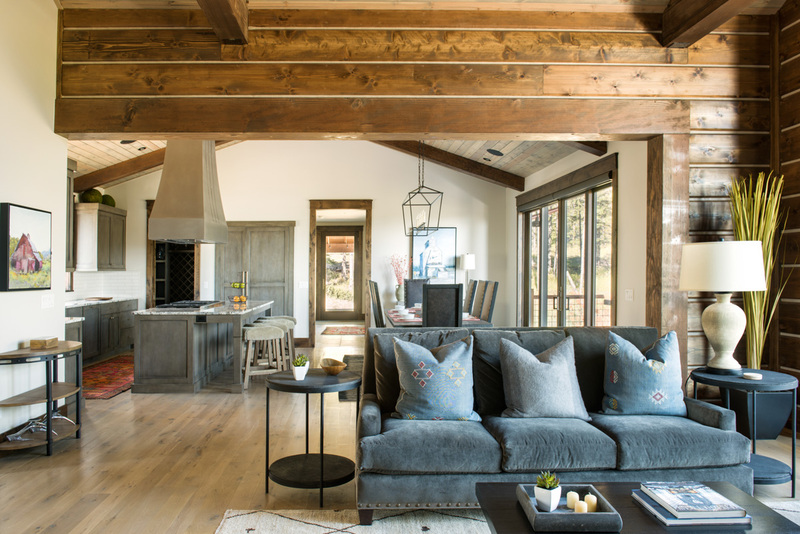 Built on three levels, this 5,250 square-foot home is ideal for groups and families, comfortably accommodating up to 16 guests. 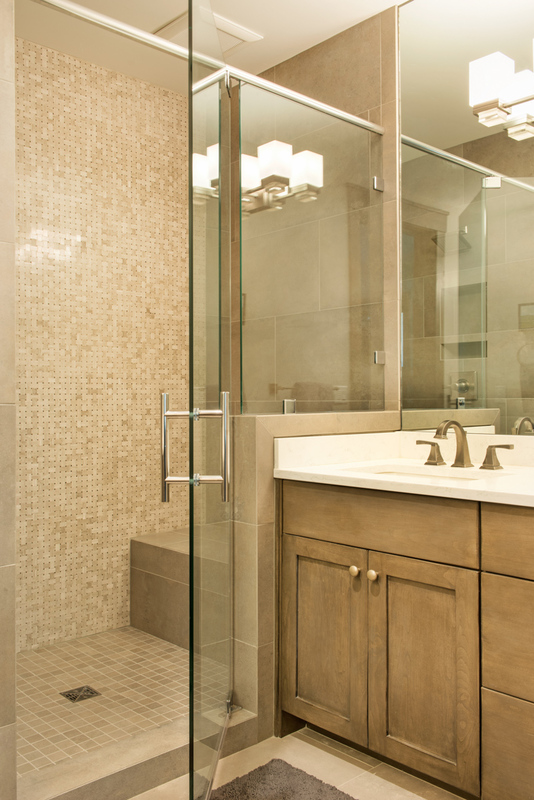 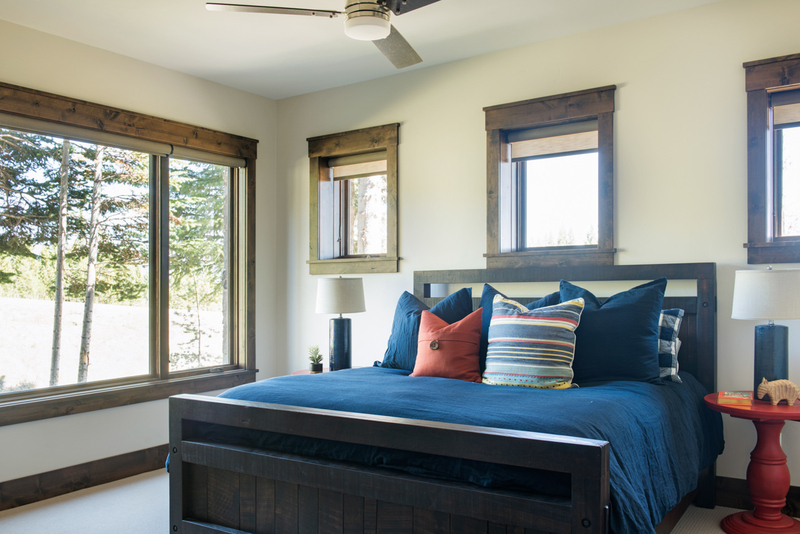 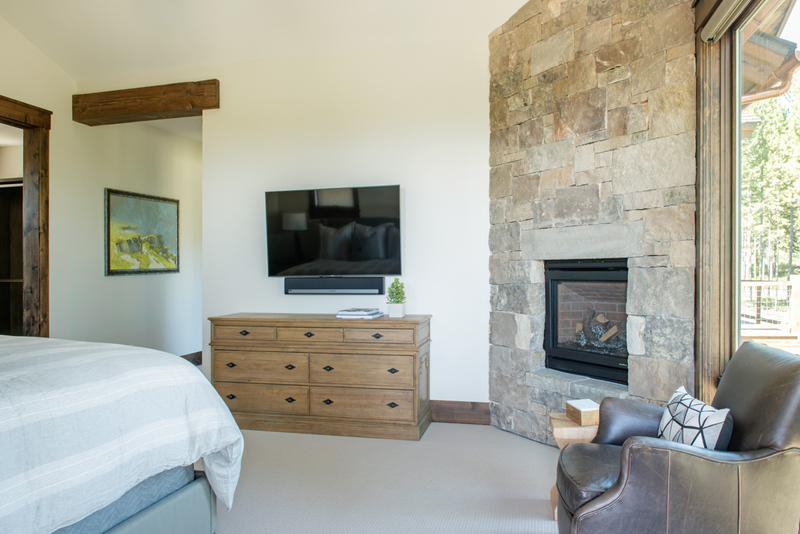 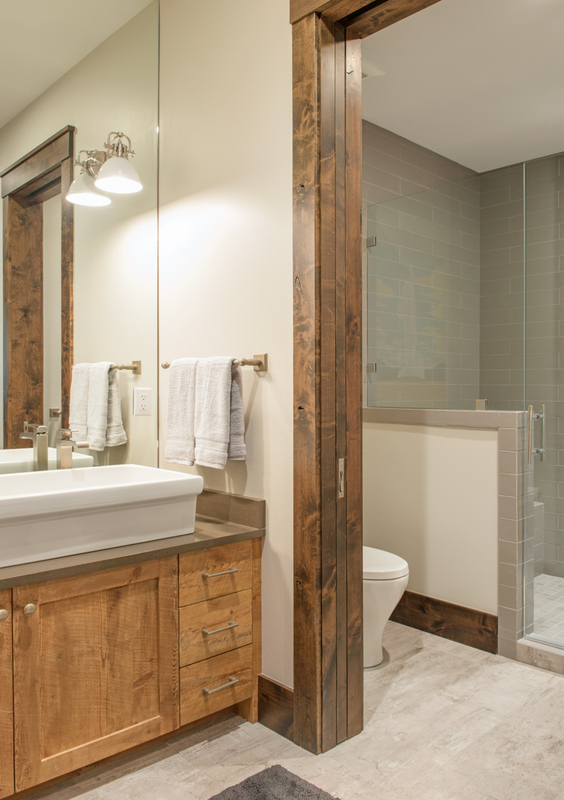 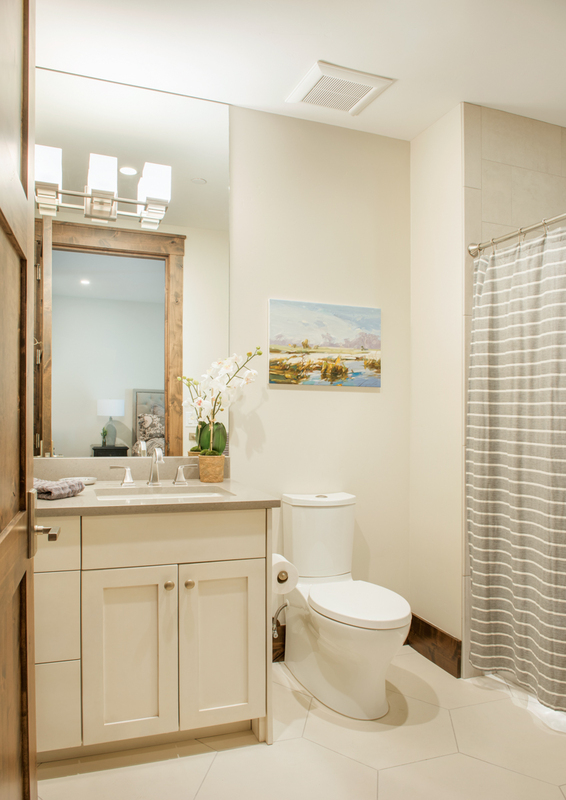 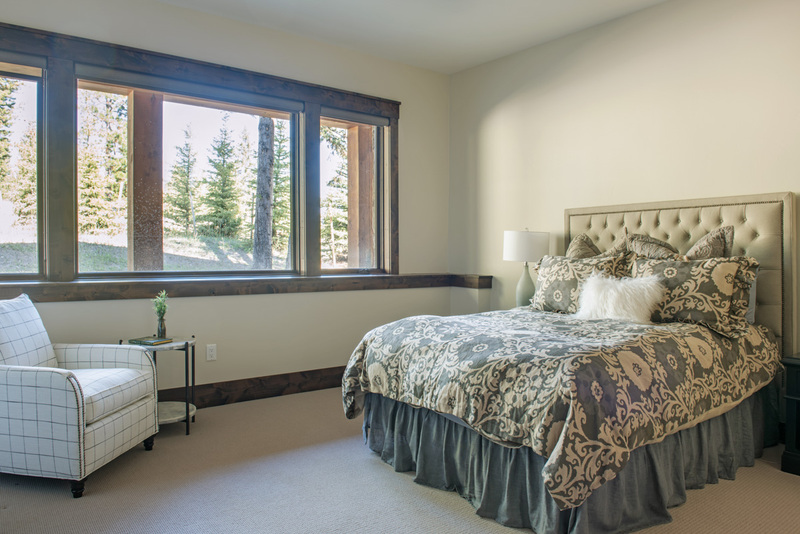 The master bedroom, conveniently located on the main level, features a king bed, private deck, gas fireplace and en-suite bath with mountain views from a large soaking tub. 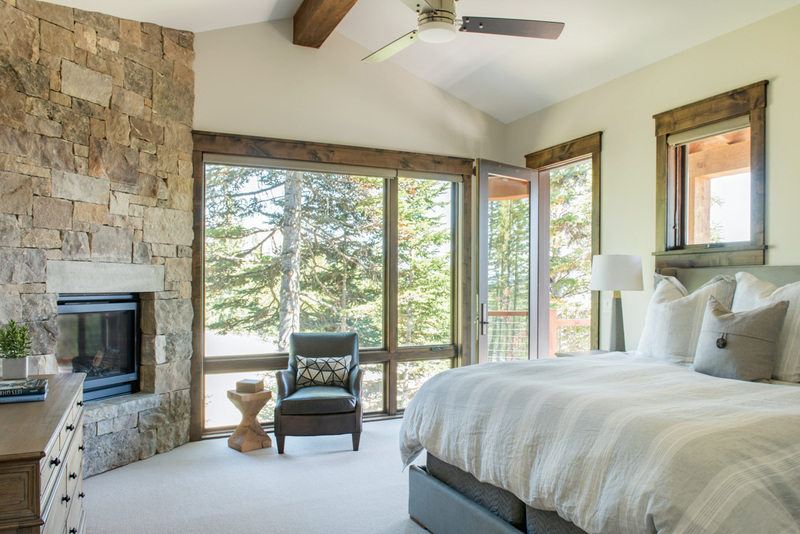 A guest master, also featuring a king bed, offers total privacy as the only room (along with a detached private bath) on the upper level. 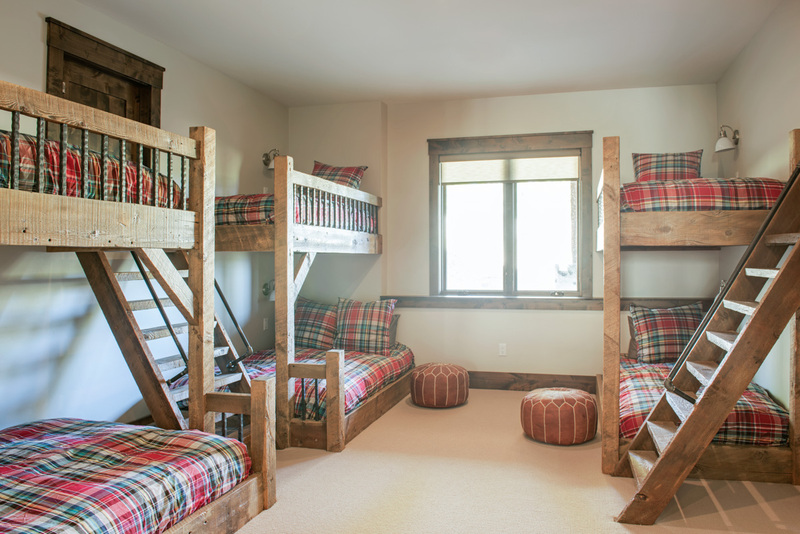 Three additional bedrooms, each with an en-suite bath are located on the lower level, including one with a king bed, one with a queen bed, and a deluxe bunk room featuring two sets of twin-over-queen Captain’s bunks and an additional twin bunk. 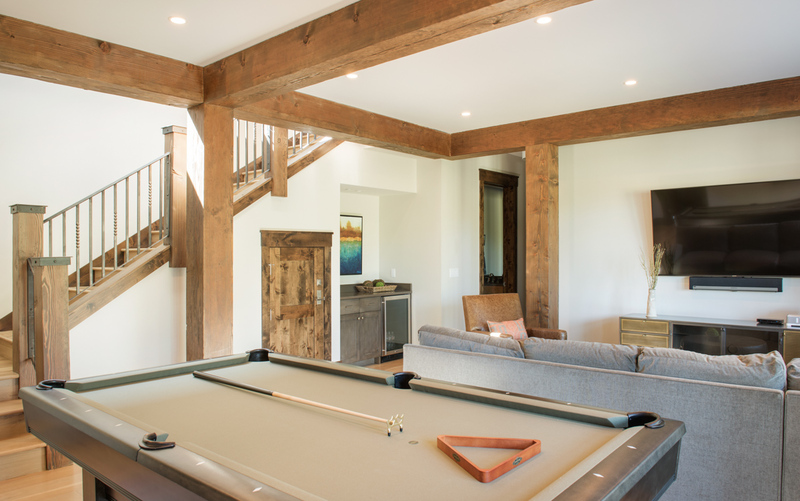 A family room on this level features a flatscreen TV, Xbox and pool table, and just outside is a private patio with a hot tub. 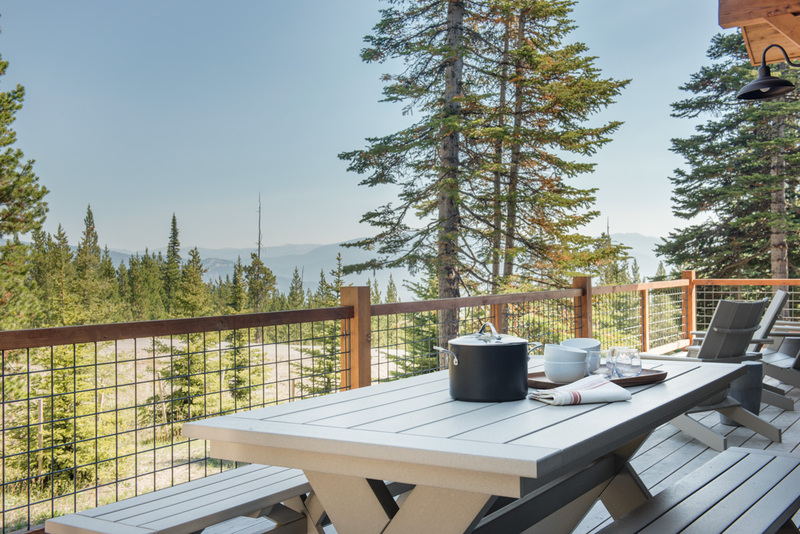 On the main level, an expansive deck offers ample outdoor seating with breathtaking views of the Spanish Peaks Range. 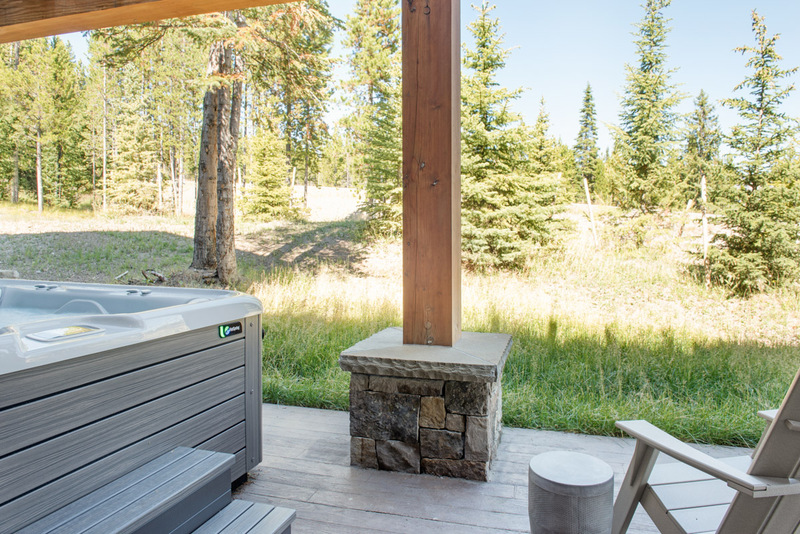 Fire up the BBQ grill for apres-ski al fresco, or simply take in the sun on your private patio in between runs. 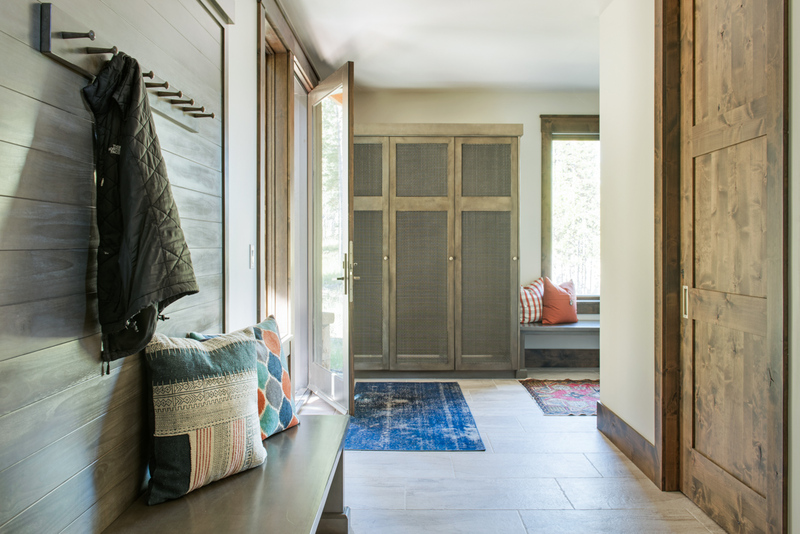 With a custom ski room to store your gear, you can easily ski and stop at your leisure, treating Alpenglow as your own private lodge. 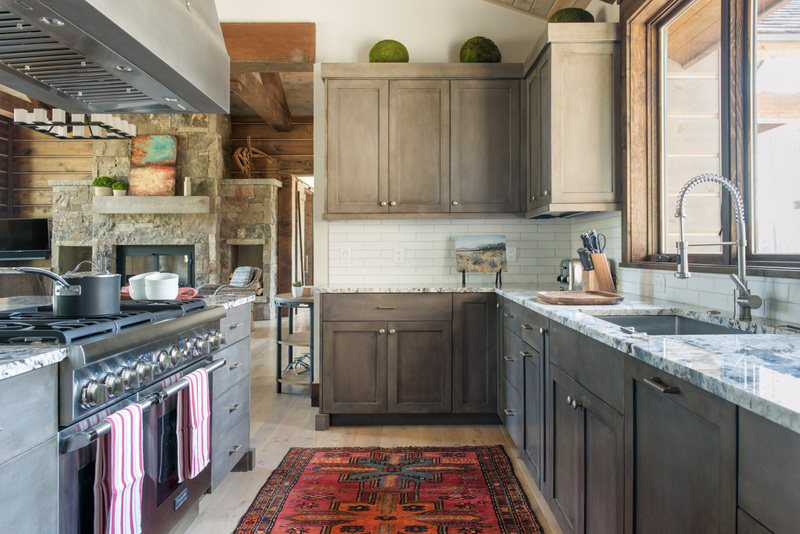 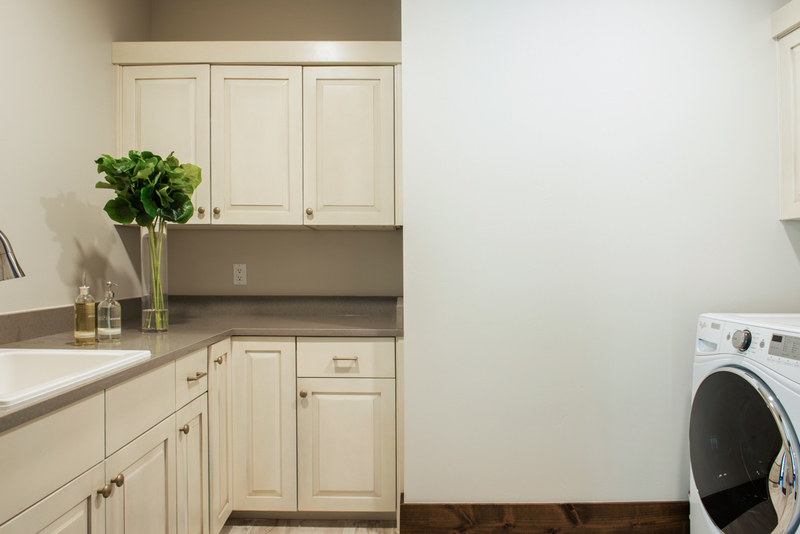 For decadent home cooked meals before or after a day of playing and exploring, put the chef’s kitchen to use. 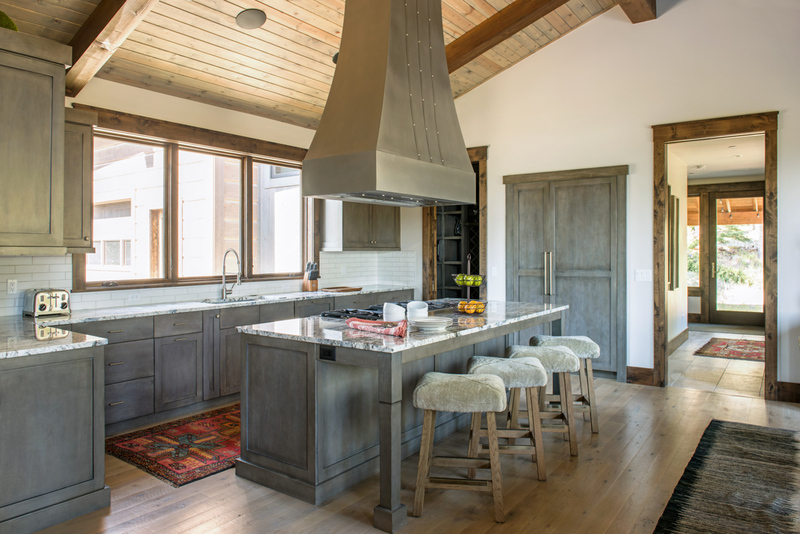 Outfitted with a 6-burner stainless steel Thermador range and dual oven, built-in fridge, walk-in pantry, and an inviting breakfast bar the kitchen it is perfectly set up for social cooking or for a professional private chef. 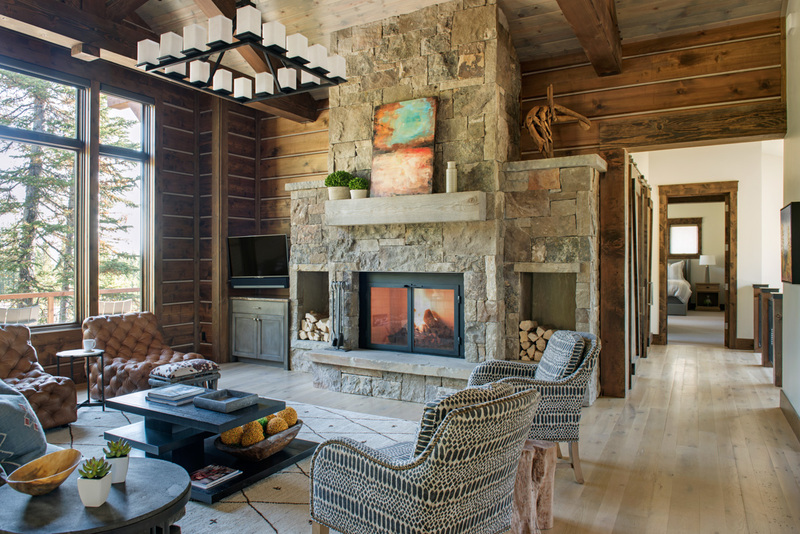 The open, adjoining great room, featuring chic mountain decor, comfy seating, and a wood-burning fireplace, beckons for good conversation, cocktails, or quiet book time. 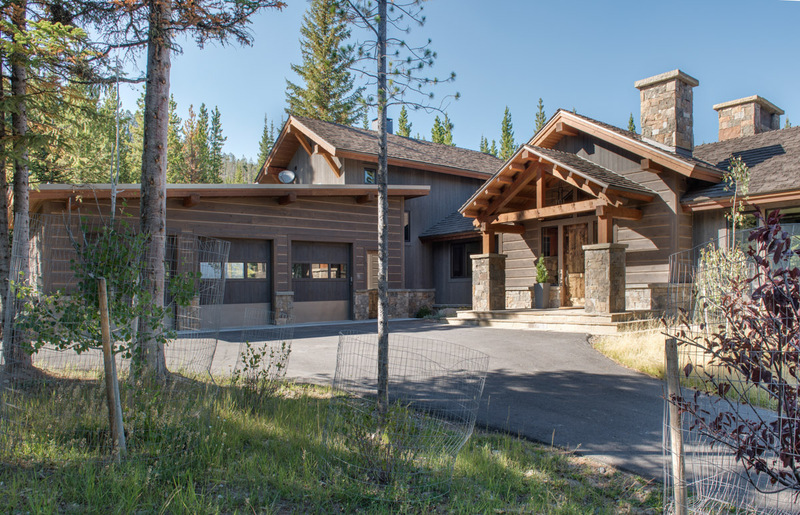 A 3-car attached garage provides parking out of the elements for your group’s vehicles, making it quicker and easier to get out to explore Big Sky, located just 15 minutes away, or to escape for the day to Yellowstone National Park, accessible within just an hour. 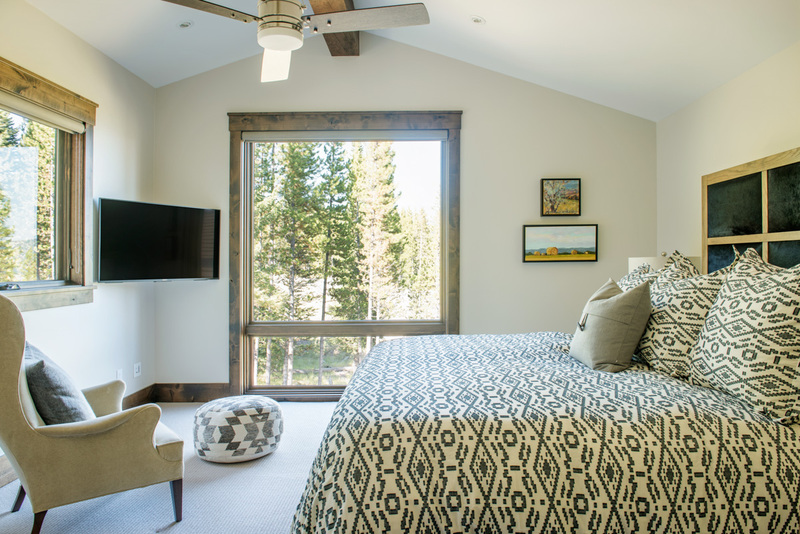 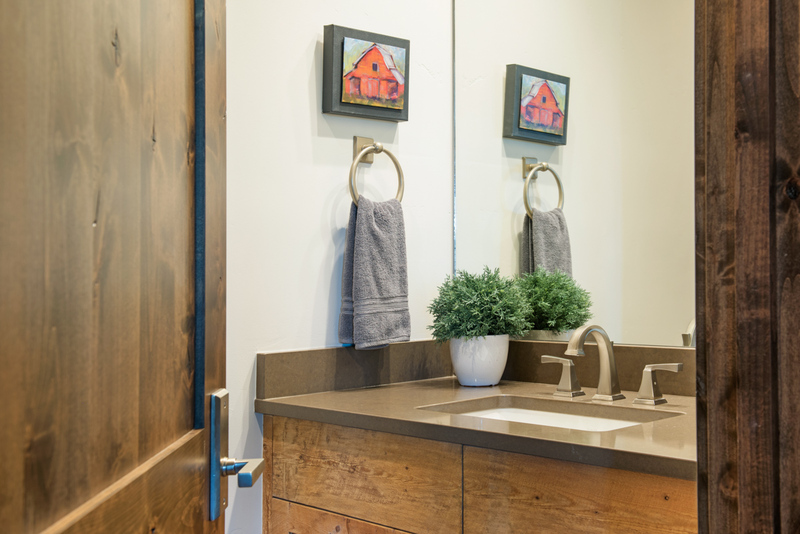 As a guest to Alpenglow you have access to many of the the Spanish Peaks Mountain Club facilities and services, an added amenity that ensures a thoughtful and exceptional Big Sky, Montana vacation. 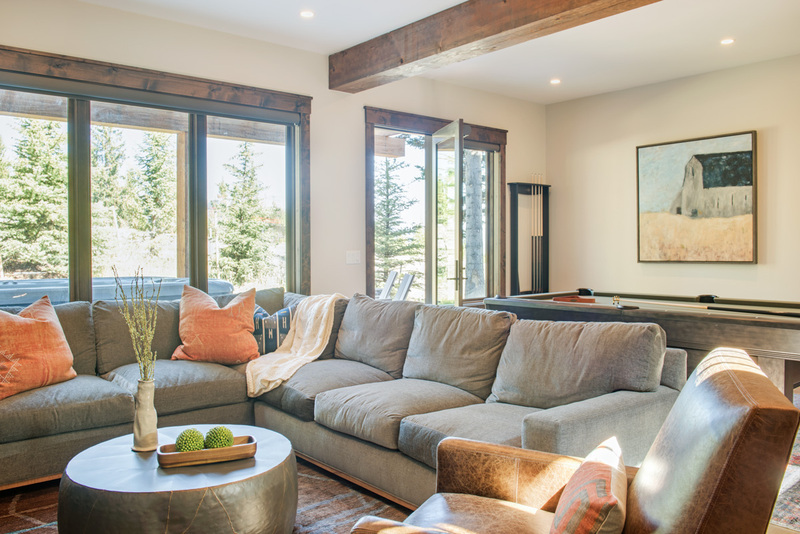 Temporary guest membership at the private Spanish Peaks Mountain Club is required for an additional fee, applied to persons 12 years and older.